Many times we stay where we are because we don’t surrender our problem or desire to God fully. We pray about it but don’t surrender it over. I was thinking, every year I see so many people make New Year’s resolutions to eat healthier or less and to start exercising again, but they never last. Why? So often, people don’t succeed because they do it in their own strength. When it comes to eating healthily, surrendering can be something as simple as a piece of cake. Just like I find myself wanting another piece of cake after I have already had one. What if you start surrendering that other piece of cake to God? What if before you ate you prayed, “I surrender this plate of food to you, Lord. You are more to me than this food. I surrender over what I shouldn’t eat; eating only as much as sufficient for my body.” See, God knows your perfect weight. He knows your body best. He made you. Your surrendering = obedience to God. God wants balance in our life with everything…exercise, eating, etc. Change starts in your heart and mind. 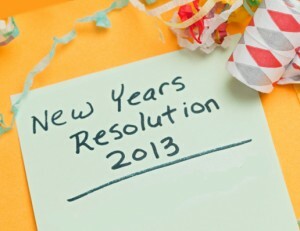 What if you surrendered that New Year’s resolution over to God? How much more likely are you to follow through with Jesus? The more we surrender, the stronger we become and the easier it becomes!